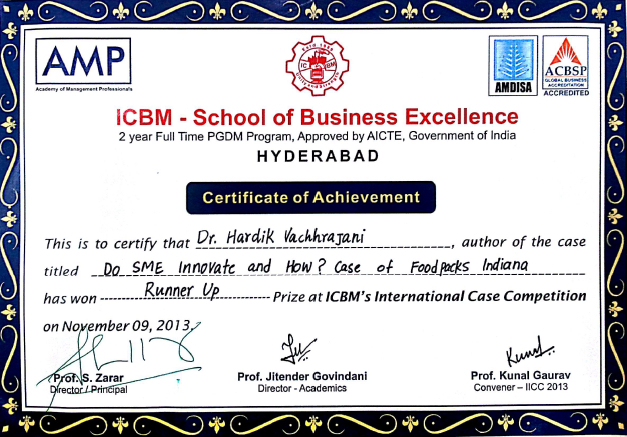 Case study co-authored by Dr. Hardik Vachhrajani received runner up award at International Case Competition 2013 organized on November 9, 2013 at Hyderabad in India. 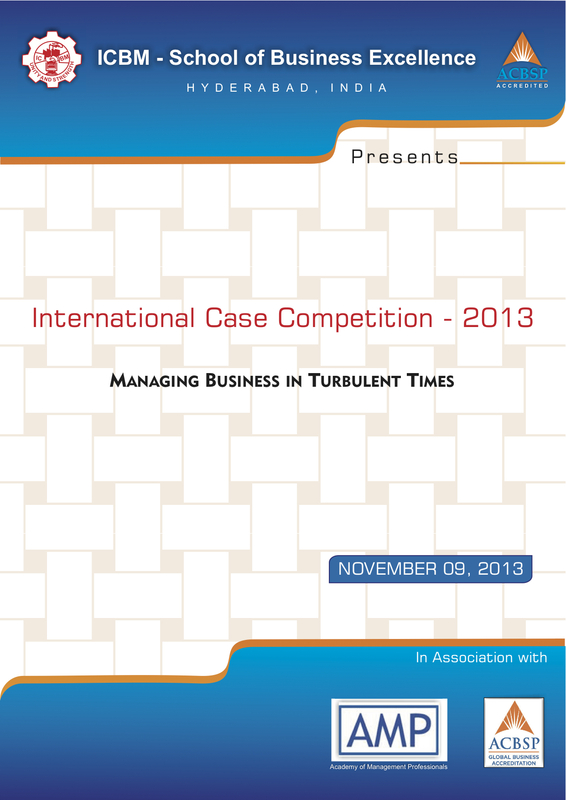 The competition was organized by ICBM School of Business Excellence, Hyderabad in collaboration with Academy of Management Professionals, India and ACBSP Accreditation, USA. Award included cash prize along with certificate and citation. Winning cases will feature in forthcoming issue of a partner journal. The case was based on innovation journey of ‘Food Packs Indiana’, a small food processing enterprise based at Kothamangalam, Kochi. There were around 30 cases in the final competition round including from Indian Institute of Managements, public sector units and number of top business schools of India.